This section has all Speedco service locations. Scroll down for list of Speedco service locations. 8212 S. Sunland Gin Rd. Start Protecting Your Equipment Today! What you don’t know could hurt your engine. Identify potential problems early. Oil analysis tells you important facts about what’s going on inside your engine. What used to take days now takes just minutes at Speedco! No more samples to mail! 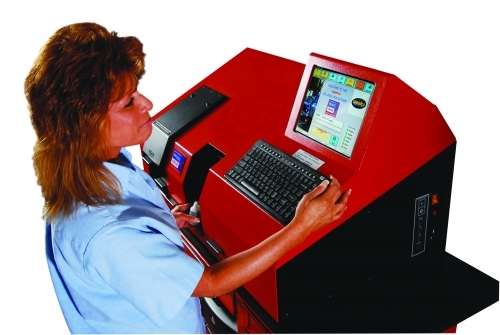 All Speedco locations are equipped with on-site computerized oil analyzers that conduct over 16 different tests on used oil – all in about 5 minutes! Even better, Speedco is proud to offer LubeTrak, the most complete Web-based lube maintenance tool on the market. Now you can track all of your oil analysis reports and manage all of your accounts, equipment and reports from one single source. It puts you in control over your equipments’ condition, sampling schedules and management reports all from your web browser. Spot trends, track down poor maintenance practices and graph any unit or component condition. All in just 5 minutes!